This is a character blog, Talee’s World, that I have been working on for months off and on. 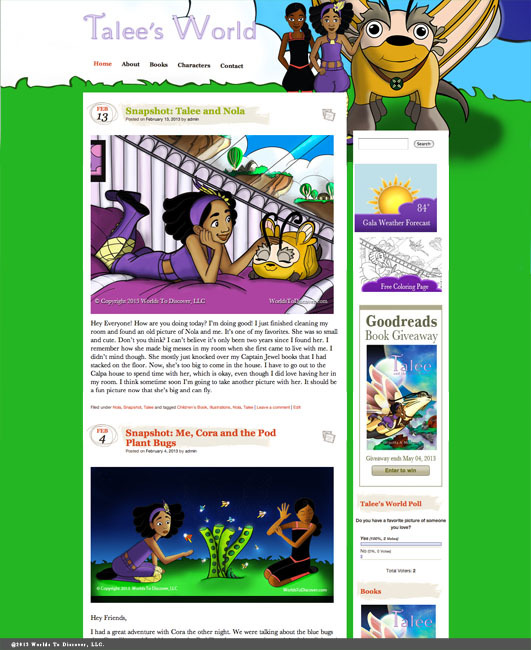 I love how the illustrations make the site feel inviting for children, which is who the blog is for! I’ll keep posting screenshots as the site develops.